As a business organization, the Chicagoland Chamber makes progress toward this goal by presenting opportunities for its member businesses to learn about international opportunities, connect with them, and expand their operations. We focused this month on Southeast Asia. The Chamber hosted a roundtable, last week, with the Consul General of Indonesia. 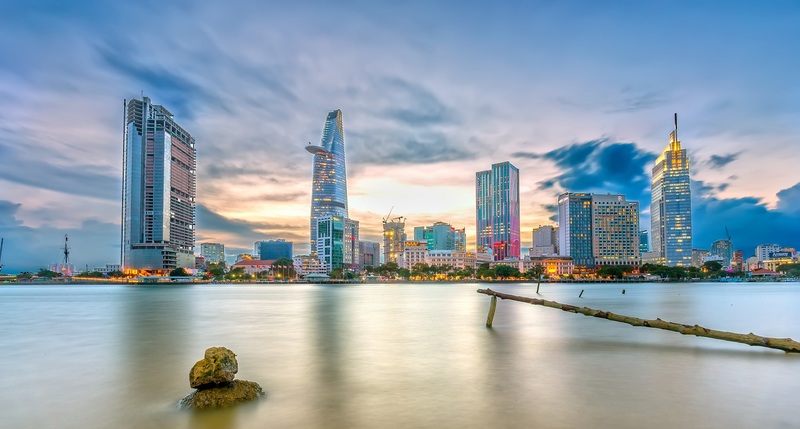 This Friday, our member Grant Thornton will host our Vietnam Business Forum. On the NAFTA front, the U.S., Mexico and Canada have concluded a second round of negotiations. The goal entering the next round (Sept 23-27 in Ottawa, Canada) is to bring a more unified vision for discussion. The overall tone among the nations has been one of cooperation. The objective is to emerge with a modernized agreement that, as U.S. Trade Representative Robert Lighthizer put it, will benefit all Americans, not just a few. The U.S. Chamber of Commerce stated its business priorities for NAFTA, in this document. To some, the recent decision of the Trump administration to rescind the DACA program came as a surprise. Immigration policy has been a topic of debate not only during this administration, but in many prior ones, regardless of party. These policies have a direct impact on Chamber members and our community as a whole. The Chicagoland Chamber is developing programming that will cover both NAFTA and immigration in a deep and useful way. Please stay tuned for more information about these upcoming programs. We are building bridges with the global business community to benefit Chamber members and the Chicago region. As always, I welcome your thoughts about how we can the job even better. Reach out to me anytime at this email. Chamber member Spirit Cultural Exchange is offering opportunities for companies with an interest in Mexico through their J-1 Intern/Trainee Programs and J-1 Mexico Internship Program. Learn more. Trade between the U.S. and Vietnam grew from $451 million in 1995 to nearly $45 billion in 2015 - and it's still going strong. Here's why. Engage with leading representatives to learn about business opportunities and incentives offered by Vietnam. The forum will focus on specific trade opportunities, Vietnam government support for U.S. investments, and details on cooperation between the two countries. Thank you Consul General Rosmalawati Chalid for discussing opportunties between Indonesia and Chicago with Chamber members. Indonesia's reform-oriented and business friendly administration is attracting investment and promoting trade. As the largest economy in Southeast Asia and the 4th most populous country in the world, Indonesia is a nation with numous business opportunities to be explored. See photos from our roundtable here.